Sgt. Norman “Nobby” Pilcher was the infamous British police officer best known for planting drugs to frame rock stars and hippies in the 60’s. Up until getting caught for doing so in 1973, Pilcher managed to collect quite a resume of celebrities in handcuffs, including two Beatles, George Harrison and John Lennon, as well as Mick Jagger and Donovan. 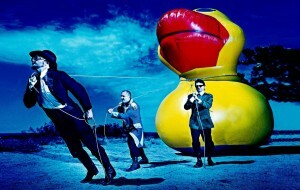 He is the subject of this two-minute ditty found on Primus’ 2003 reunion EP Animals Should Not Try To Act Like People. The song is wild and weird, all while frontman Les Claypool delivers a fine tale of a corrupt man of the law, breaking only for a two-second solo from guitar virtuoso Larry “Ler” Lalonde (“Go Ler!…..Thanks Ler!”). If there was one song I would use to introduce a person to the newly-formed subgenre known as “chillwave,” Washed Out’s “Feel It All Around” would be it, no question. The “chill” factor is at a peak here, from the constant hum surrounding the hoppy bass line to the trash-can percussion fills to Ernest Greene’s soothing, layered vocals. Released at chillwave’s height of popularity in the summer of 2009, it was a lazy tune for a hectic time. Incorporating a more new-wave style on their second album, Brit rockers the Cribs returned with “Men’s Needs,” a fast pop-punk gem, channeling the energy of fellow peers the Futureheads. The incessant rapid-strumming guitar lines keep the song at a jackrabbit’s pace (along with help from a heavily-utilized high-hat) and the chorus shrieks with an infectious hook. While At Mount Zoomer didn’t keep the attention of audiences like Apologies to the Queen Mary did, “Soldier’s Grin,” the opening track, is a perfect highlight that showed Spencer Krug still had a few tricks up his sleeve. The pop-pause-pop guitar line hops along a carefully-placed snare roll, and both crash into a slow jam around the two-minute mark, only to bring it all back for the rollicking grand finale. By far my favorite Wolf Parade track, an underrated gem. If there’s one thing Ben Nichols could get a doctorate in, it would be whiskey and women. The boy has seen plenty of both, and I imagine his dissertation would be a fine study on heartbreak. Good ol’ Southern boys from miles around crank up the Lucero and down the Jameson after their lady leaves them, and the simple reason is that Nichols’ lyrics pretty much describe exactly, to a tee, how we feel – about the girl, about the world, about ourselves. If we’re in a good mood, Lucero’s just a great band. If our world has crumbled, Lucero is a religious experience. Needless to say, “Sweet Little Thing” got me through the summer of 2008, one of the roughest patches of my experience. Thanks, Ben. I’m still not sure what No Age are really going for. All I know is that I like it. They’re a little bit punk, a lot no-wave, and, in the case of “Teen Creeps,” they’re a little bit swaying indie rock and fun power pop. The deafening ethereal noise is here, and Dean and Randy’s guitar-and-drum assault on the ears is still present, but not until a sweet little guitar line starts it all off. It’s an instant gold star in the duo’s ever-changing sound. While Serj Tankian continues to make bland solo albums, I still cling to the days of Toxicity, the peak of SOAD’s creative output. The perspective, musically and politically, produced a trademark quirk, and also gave us some killer metal in the process. 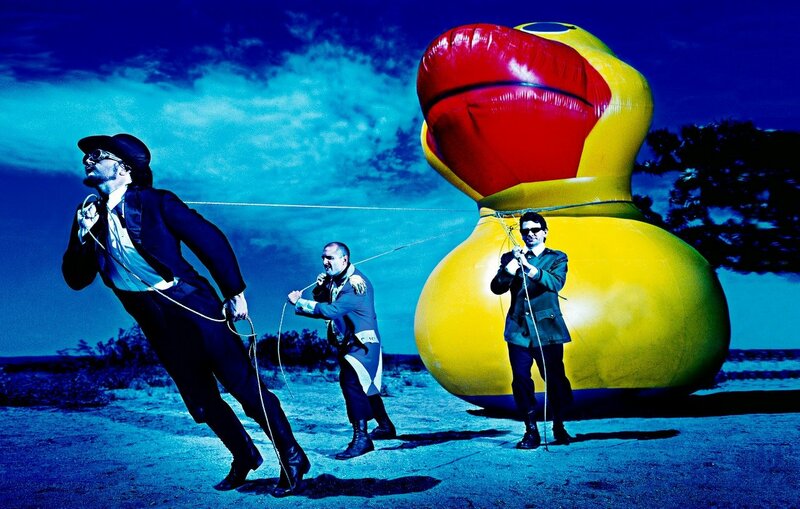 “Jet Pilot,” one of the shorter tracks on that album, is hammered out at blinding speed, but the group still makes room for strange guitar and Tankian’s signature shriek. A lot has been written about how awesome this song is, but I don’t know if I necessarily agree with any of it. I suppose the reason I’m in love with this song isn’t the banging chorus, or the keyboard line, or the cool effects during the outro, or even the weird beat. No, I really like the second verse. Like, the whole thing. It’s so….funny. Listen to it. Learn it. Rap along. Then you’ll see why I, and presumably no one else, like this song. Yes, it’s the most juvenile song from the most juvenile band ever. “You know what I really want in a girl? Me,” Jimmy Pop declares before a standard alt-rock guitar crunch. I’m not here to defend the Gang – junior high has been over for a long time – no, I’m here to tell you that there was a point in time when I knew all the words to this song (which, if you’ll listen, is quite a feat – Jimmy Pop was pretty clever for a pervert), and my mother hated it, and life was good for that reason. And that’s it. ….ok, that’s not it. I really like this song. It’s hilarious. All of Hooray For Boobies is, come to think of it. We should totally listen to it on the way to see Jackass 3-D. No, this paragraph isn’t sarcastic. When did you start being too good for your past self? Learn to laugh again. You used to have so much more fun. Remember? I can’t say, even after seeing them in concert, that I’m a huge Stars fan – their latest album was more of the same, except with more filler. But “Ageless Beauty” stands the test of time – from the beginning, it just sweeps you up like…a cloud….or something. Take a listen and you’ll see what I mean. The vocal harmony alongside a never-ending strumming – comforting, yet firm, determined – just embraces, while we are reassured: “Time will hold its promise/We will always be a light.” Whatever you say, angel. This entry was posted on Monday, October 18th, 2010 at 5:42 pmand is filed under . You can follow any responses to this entry through the RSS 2.0 feed. You can leave a response, or trackback from your own site.